Oxford 21 September 2018; Celleron Therapeutics Limited, the UK based precision cancer medicines company, developing novel small molecule therapeutics, announced today that CEO Professor Nick La Thangue presented to the Shenzhen Pingshan International Biopharmaceutical Summit on “Development Status and Trends in Global Cancer Medicine”, run by the Shenzhen Pingshan Economic and Technology Promotion Bureau, China/The People’s Government of Pingshan District Shenzhen Municipality. The meeting focused on innovation and development in The Shenzhen Pingshan region and potential for the biopharmaceutical sector to bring economic growth in the region. Professor La Thangue said “I am very pleased to have had the opportunity to present at this important meeting and to discuss the novel research and the exciting clinical plans which could lead to significant benefit for cancer patients. The Shenzhen Pingshan Economic and Technology Bureau offers exciting opportunities for corporate growth”. 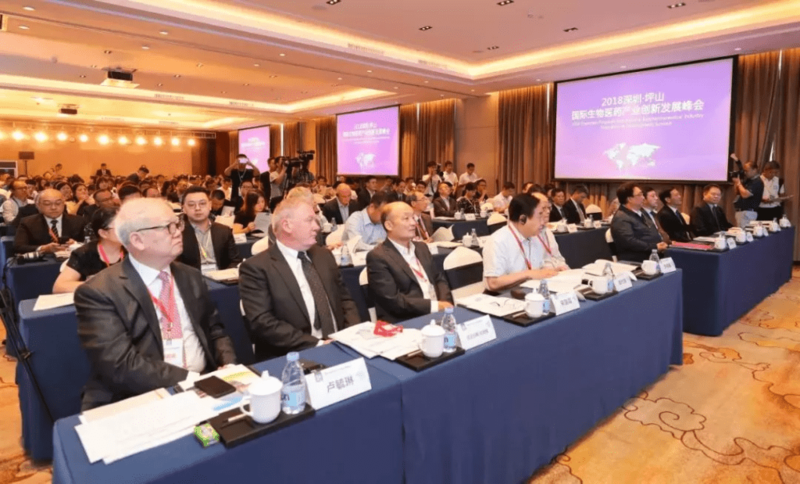 The “2018 Shenzhen International Biological and Life Health Industry Exhibition and BT Leaders Summit is an important meeting of more than 100 academicians, venture capital institutions and well-known corporate leaders, experts and scholars from universities and colleges at home and abroad”. Shenzhen Pingshan Economic Technology Promotion Bureau.